STV is a brand that has grown rapidly since its creation back in 1993, to become the UK’s number one supplier of pest control products and the preferred choice for UK consumers. Consumers associate their major product ranges of ‘Big Cheese’, ‘Defenders’, ‘The Buzz’ and ‘Zero In’, with quality, reliability and effectiveness. STV make a simple promise to their customers, one that aims to ensure pest-free living, by delivering innovative solutions that are straightforward to use, resulting in quick and safe methods of pest control whether that is in the home or in the garden. The reputation of STV is such that industry professionals also regard the brand to be market leaders. The continuing programme of research and development, with extensive field testing, has resulted in a rapidly expanding range of high performance and durable products. 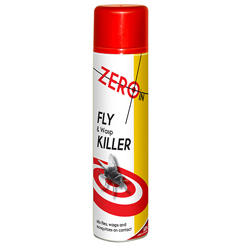 Products in the range include cage traps for animals such as rats, squirrels and rabbits, dog and cat repellers, general pest repellers, flea treatments, bedding and clothing treatments, door and window opening covers and screens, flying insect controls, garden pest controls and mole traps and repellers. Of course, they have a range of products specifically designed for rodent control, to deal with those pesky mice and rats.